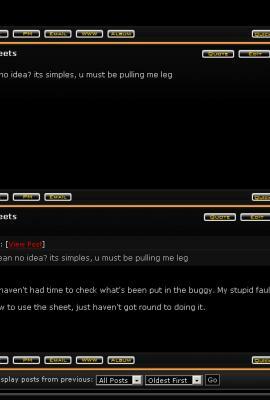 Old Styles Topics :: [SOLVED] Black Pearl Annoying Little Orange Line. [SOLVED] Black Pearl Annoying Little Orange Line. 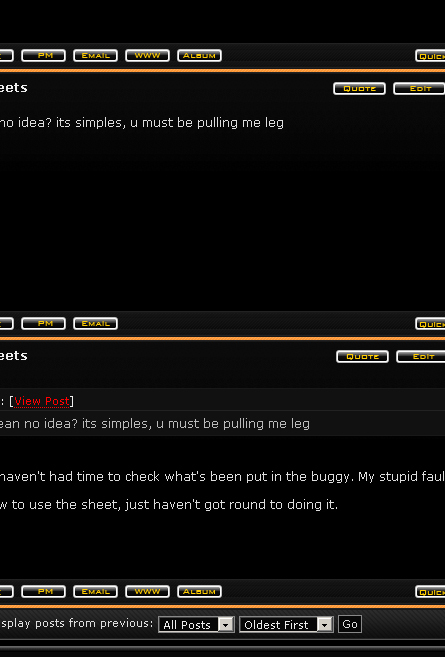 People I have an annoying little orange line on my forum and I cant find what's causing it within the CSS. I'm using modded black pearl. I'm just looking to change the colour thanks. Ok peeps I solved this one myself, wasn't looking close enough. Do a search for bg_spacerow in your CSS and you will find it.